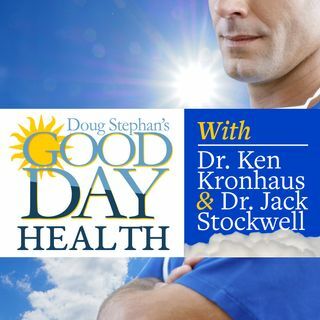 Host Doug Stephan and Dr. Ken Kronhaus discuss Carcinogens recently discovered in High Blood Pressure drugs. Ask your Pharmacist to check the brands that you're using. New benefits have recently been revealed with The Mediterranean Diet. Did you know that many prescription drugs only contain 25% active ingredients and the other 75% is just filler? The FDA has recently approved a new nasal spray to relive Depression, but the long-term effects are not known. Next, brief Mid Day Naps could ... See More help keep your Blood Pressure down. Plus, lots more information about maintaining your Good Health.